Id58431: 10060579 Pontiac Trans Sport Relay module 1991. id58431: 10060579 Pontiac Trans Sport Rele 1991. id58431: 10060579 Pontiac Trans Sport Relais 1991. id58431: 10060579 Pontiac Trans Sport Блок электронный 1991. Id196229: 25517428 nenustatyta Pontiac Trans Sport Relay module 1994. id196229: 25517428 nenustatyta Pontiac Trans Sport Rele 1994. id196229: 25517428 nenustatyta Pontiac Trans Sport Relais 1994. id196229: 25517428 nenustatyta Pontiac Trans Sport Блок электронный 1994. Id399137: z2940 10062579 Pontiac Trans Sport Relay module 1994. id399137: z2940 10062579 Pontiac Trans Sport Rele 1994. id399137: z2940 10062579 Pontiac Trans Sport Relais 1994. id399137: z2940 10062579 Pontiac Trans Sport Блок электронный 1994. Id197269: 10060579 z2940 Pontiac Trans Sport Relay module 1994. id197269: 10060579 z2940 Pontiac Trans Sport Rele 1994. id197269: 10060579 z2940 Pontiac Trans Sport Relais 1994. id197269: 10060579 z2940 Pontiac Trans Sport Блок электронный 1994. Id94886: 5wd93128900 5wd931289-00 Pontiac Trans Sport Relay module 1993. id94886: 5wd93128900 5wd931289-00 Pontiac Trans Sport Rele 1993. id94886: 5wd93128900 5wd931289-00 Pontiac Trans Sport Relais 1993. Id198140: nenustatytas nenustatytas Pontiac Trans Sport Relay module 1994. id198140: nenustatytas nenustatytas Pontiac Trans Sport Rele 1994. id198140: nenustatytas nenustatytas Pontiac Trans Sport Relais 1994. 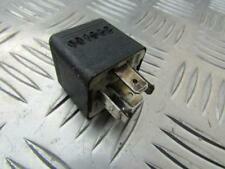 Id443517: 4rd96038814 4rd960388-14 Pontiac Bonneville Блок электронный 1989. Parts codes: 4rd96038814 4rd960388-14. Model: Bonneville. Engine capacity: 0. Id443079: 96038814 960388-14 25530733 Pontiac Bonneville Блок электронный 1989. Parts codes: 96038814 960388-14 25530733. Model: Bonneville. Engine capacity: 0. 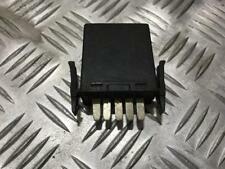 Id246920: 96038814 960388-14 4RD960388-14 4RD96038814 25530733 Pontiac Bonneville Relay module 1989. id246920: 96038814 960388-14 4RD960388-14 4RD96038814 25530733 Pontiac Bonneville Rele 1989. id246920: 96038814 960388-14 4RD960388-14 4RD96038814 25530733 Pontiac Bonneville Relais 1989. Id197813: 14100455 n/a Pontiac Trans Sport Relay module 1994. id197813: 14100455 n/a Pontiac Trans Sport Rele 1994. id197813: 14100455 n/a Pontiac Trans Sport Relais 1994. id197813: 14100455 n/a Pontiac Trans Sport Блок электронный 1994. Id198142: 29386655 nenustatytas Pontiac Trans Sport Relay module 1994. id198142: 29386655 nenustatytas Pontiac Trans Sport Rele 1994. id198142: 29386655 nenustatytas Pontiac Trans Sport Relais 1994. id198142: 29386655 nenustatytas Pontiac Trans Sport Блок электронный 1994. Id266276: 10262822 Z-2940 Pontiac Trans Sport Relay module 1995. id266276: 10262822 Z-2940 Pontiac Trans Sport Rele 1995. id266276: 10262822 Z-2940 Pontiac Trans Sport Relais 1995. id266276: 10262822 Z-2940 Pontiac Trans Sport Блок электронный 1995. Id202271: 032208150 982 Pontiac Trans Sport Relay module 1994. id202271: 032208150 982 Pontiac Trans Sport Rele 1994. id202271: 032208150 982 Pontiac Trans Sport Relais 1994. id202271: 032208150 982 Pontiac Trans Sport Блок электронный 1994. Id19579: 153 950 337 336 Pontiac Bonneville Relay module 1993. id19579: 153 950 337 336 Pontiac Bonneville Rele 1993. id19579: 153 950 337 336 Pontiac Bonneville Relais 1993. id19579: 153 950 337 336 Pontiac Bonneville Блок электронный 1993.